You Have Just Won a Million Bucks! You can earn 10,000 or more per week in the comfort of your own home by being on the internet 2 hours a day! Take these pills and you too can lose 80 lbs in 1 month without lifting a finger! Send us a gift and we will send you a blessed prayer cloth which will make you financially secure! So on and so on it goes. Believe us and by the way send us your money! When it comes to promises given in a fallen world is healthy and desirable one should keep a tight hold on the credit card and checkbook. It may sound cliché but “if it sounds to good to be true it probably is” is the best response to much of what is touted as truth. Belief in things in no way changes your status. Unless we are speaking about the promises associated with the perfect life, innocent sufferings, death and resurrection of Jesus. Belief in Jesus does indeed change your status. Instead of being a condemned sinner suffering eternal death the believer inherits life eternal. Pr Tom Baker, Law and Gospel Broadcast, states that is one of the areas which differentiates Christianity from every other religion. In all other religions that have a personal god it all depends upon the person to get right and make up for wrongdoing. In Christianity we have God in the person of Jesus fulfilling what we could not do and paying for the wrong we have done. In this we see that the problem is our problem not God’s problem. In our inner brat we want to think we have an angry God to pacify with our corrected behaviour and sacrifices. We need to be reconciled to God not the other way round. This is such a radical departure from what many in Christendom, lamentably, hear in a given Sunday sermon. Away with this pointing men back at themselves for hope. 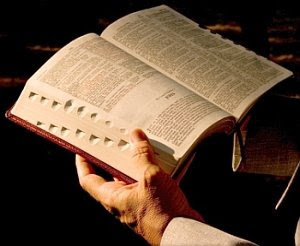 Demand your pastor to proclaim you are a dead sinner and need Jesus or be lost for eternity. If your pastor reminds you of that constantly be sure to thank him for others will be asking him to move on to so called bigger and better things. Our hope comes from outside us which is where the only true peace and hope lies. The finished work of Jesus for sinners. 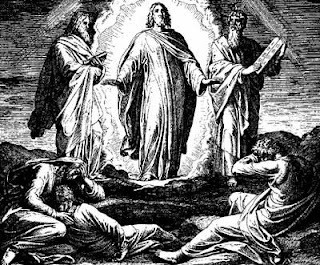 A few Sundays ago during the sermon on the Transfiguration of Jesus I found it interesting the subject that was discussed between Jesus, Moses and Elijah. We are not told what exactly the words used but it was about Jesus’ upcoming sacrifice for our sins. This, I suppose, is a natural subject since both Moses and Elijah looked forward to their Saviour and ours and what he would accomplish for us. That is the golden thread from beginning to end in scripture. The entire reason for the second person of the Triune God incarnating was to give his life as a ransom. Years ago all churches except the very liberal or ones who should not be called churches had this as weekly fare. One could not leave worship without knowing how desperate his or her condition is without Jesus’ atoning sacrifice. This all seems rather boring and passé to the modern mind. Minds condition by our culture to think that all we have to do is to muscle up against any difficulty and we can solve it. In the last election that was the recurring theme is how we can fix our country with enough effort. Certainly in the daily grind heroic efforts can result in progress. This is not only commendable but is indeed desirable. This however, will not work when it comes to our desperate condition in the sight of a holy God. This is another summation of the laws requirements in a short sentence. Do you on your own effort want to fix your relationship with God? Very simple and easy to remember phrase covers it. All you have to do is never sin from the moment of conception forward till your death. What? Not so easy is it? No indeed it is not only not easy but it is impossible. So many will look at the Sermon on the Mount, out of which this phrase is taken, as marching orders to get right or remain right with God. Indeed much wisdom on how to carry on is found there. But this phrase does us in as far as God is concerned. This was Jesus’ other reason for coming was to fulfill in human flesh the requirements of the law. This active obedience accomplished for us the entire filling in all our law keeping requirements. There is no need to look at progress or lack thereof to know that we have forgiveness of sin and life everlasting. Jesus did the whole job of being right witht the law for us! Ear Candy? Or is it a Grave Concern? Therefore, to avoid this vice we should note that no one is allowed publicly to judge and reprove his neighbor, although he may see him sin, unless he have a command to judge and to reprove. For there is a great difference between these two things, judging sin and knowing sin. You may indeed know it, but you are not to judge it. I can indeed see and hear that my neighbor sins, but I have no command to report it to others. Now, if I rush in, judging and passing sentence, I fall into a sin which is greater than his. But if you know it, do nothing else than turn your ears into a grave and cover it, until you are appointed to be judge and to punish by virtue of your office. For what purpose are those things brought to light? Is it to correct and erring brother? I fear due to our inner brat it is to show ourselves as superior to others. In this command we are given the gift of mutual peace and respect. When a person is bearing a tale and going on an on about it to others it causes one to think “what does this person say about me behind my back?” So that violation just keeps spreading and spreading so that the wars increase. Here again we see our daily need for repentance and faith in the dead Jesus. For we in no way can fulfill that laws demands. It is great advice for mutual peace as stated above but it always accuses as well as informs. However, out of love for our loving Father we do strive to fight against tale bearing.